There are so many forms to get the powerful CBD, you can choose the one that is right for you or that you prefer. CBD Essence has a wonderful line of products to choose from. They are all third party tested for purity and strength. CBD Essence also does not use pesticides, this is so very important! No one wants pesticide remnants in their CBD products much less anything else. These products all boast about increasing the value of life in some form for almost every user, with little to no bad side effects reported by most. Personally that makes it a grade A product for me. I am not a doctor or a scientist so I will not make any claims as to what this product will do for you, but I will say what others have said it does for them, also I will give my opinion of the product. I have a dear friend that has epilepsy, she uses the Hemp CBD and the Medical CBD with THC and she says that she is feeling better than ever and barely takes any prescription medications. For the most part, she just uses her oils, she speaks with her physicians regularly, and they are totally on board with her treatment choice, and are monitoring her progress with her. My neighbor just started using CBD Essence Hemp oil for her back injury, after consulting with her physician about its uses. Just the other day she told me how much better not only her back was feeling, but also that she was able to concentrate and focus better. In all she said she just felt better all the way around and had stopped taking the prescribed pain killers after like the second day. If these oils can help people like this, and they work the same for everyone, there is no reason it shouldn’t be used in conjunction or in place of prescription medication with physician approval. Tinctures are oil drop extracts that are blended with a host or carrier oil. You can find them in a variety of flavors, which means you can either directly ingest the oil or still mix it with food or drinks. 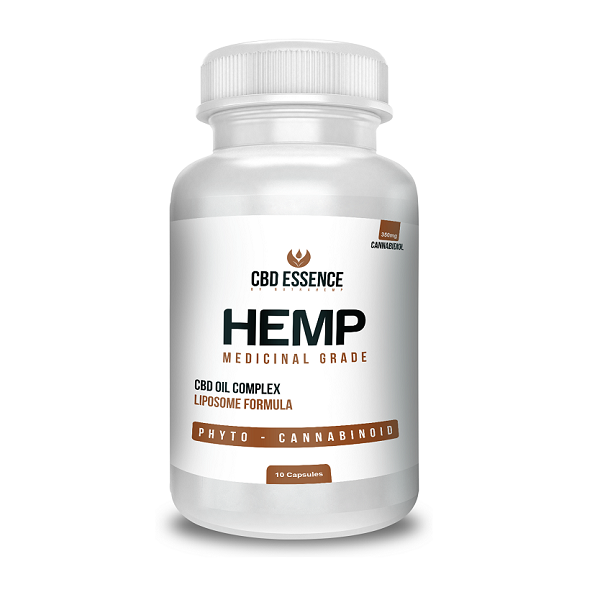 With most hemp CBD products all the inguredients are natural and organic. They are also 100% vegan, generally pesticide free and tested for potency and purity, as claimed by each company. I like this product for many reasons, CBD Essence keeps it all natural and organic. The oil is blended with other natural oils as the host and then combined with other natural flavors like cinnamon, peppermint, orange, citrus, and natural (unflavored), and more, for an end product that is not only tasty and easy to take, but is also very effective. This is the quick and easy way to take your CDB, you can take it on the go or while lounging around the house. If you do not wish to use the oil products but still want the great benefits this is the way to go for sure. And a more accurate dosing as well, without measuring. Gelatin Capsules can be purchased in a variety dose strengths. It depends on your particular needs or desires. For the guy or gal that really just wants to vape their daily dose of CBD oil, there pre-filled cartridges. I would even try vaping with these, whereas right now I take a negative view on vaping. But I would consider vaping CBD Oil versus the crap they sell in the average vape juice. I have thought about trying to quit smoking by replacing my cigarettes with the vape, but I am not so sure about vaping in general. I would consider it a little more with these options, but its still not on the table for me. I found cartridges available at GoGreen Hemp.com. They are a very awesome company as well. All of their products are natural, and they grow their hemp in Colorado totally pesticide free! We are just as finicky about what medicine we give our pets as they are about taking there medicine. Personally my dogs medicine has to taste good and not be a pill. Amazon offers a large variety of hemp based dog supplements.The One I liked for my fur babies is Point Pet Natural Hip and Joint Supplement. I have tried so many products over the past couple of years as my fur babies are not quite babies anymore as much as they are seniors. I have found that soft, meat flavored chewy bites work the best as there teeth are not quite what they used to be either, and they are finicky about what they eat from the “medicine shelf”. Yes they know what that is, and the difference between snack shelf and medicine shelf. My fur babies liked the Point Pet Hemp Immunity Support chews I found shopping around online. Needless to say pet CBD chewy bites are really comparable in price to other quality supplements for joint aches that contain no CBD qualities. With the CBD, your pet gets so much more and they feel better in the long run. Knowing that the medicine you give them is all natural, you will feel better in the long run as well. CBD is claimed to help your pet with a list of issues like pain, inflammation, stress, anxiety, age related issues, and overall health. I would choose hemp dog chewy bites because a lot of care goes into the making of hemp CBD products to ensure quality and customer satisfaction. This includes furry customers as well as is not so furry ones. natural supplement like this to ease them versus over the counter pain relievers or prescription pain relievers, I would prefer the natural given the option. Even though there is no scientific facts to back up the medical claims yet, as this takes time to get true full answers, if there is the slightest chance that CBD oil has the ability to stop cancer from forming or slow it’s progress after it has formed, I am personally interested in trying it. Cancer runs in both sides of my family and being a single mom, I want to be here for my daughter for a long time. If taking CBD oil increases my chances, I am in it to win it!!! I would love to hear some opinions or comments about my site. Please feel free to leave comments below. I am reluctant to get involved with CBD and hemp related products due to my personal ancient history. Smoking pot led to paranoia, memory loss, loss of motivation, engaging in risky behaviors and the potential of being sent to jail, which led to dozens of people I was acquainted with going. The world has come a long way since that time and now I have chronic aches and pains. I usually take no drugs whatsoever these days, outside of caffeine, but if I can move around a little better, I might consider it. Are there clinical trials going on to show the effects? Are CBD products legal in the Philippines? Thanks. From all the studies that I have done, I have found that CBD is not legal in the Philippines, there are many companies selling it to the Philippines, but it is not regulated in any manner, and you could get in trouble for having it. This dismays me very much! The arguement that is contains no THC and is used in many food preparations did not seem to matter to the Philipinne Government, nor did any of the health benefits. Sad to say. Thank you for visiting my site. I hope the laws change there soon! 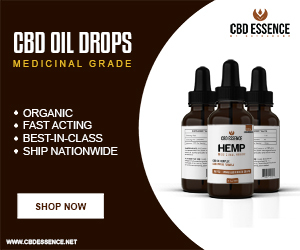 For a long while I ignore all the hype over CBD oil but after a while I became intrigued with many of the story’s I heard and thought I would try it to see for myself after having lots of pain from a sporting injury. I think it really helped with my recovery and I’ve taken it ever since. I agree, I actually ignored it too! I cannot believe I did, but honestly I thought it was all hype, then I tried it, and I tried topical and ingesting, I found that the combination worked even better for my arthritis pain. Before CBD became popular, I used to take about 12 ibuprofin a day. My liver and kidney’s are thanking me now for sure! There are a lot of different CBD products on the market. It can be very hard to find a good dependable product. Not to mention, a company that sells legit products.I do want to try to use it for back pain. I have heard that it can help. However, how exactly are you supposed to take it for back pain. Do you use it topically or ingest it? Sorry, I am completely new to CBD products. There are so very many CBD products out there, and it really is a buyer beware market. I will only endorse reputable companies on my site. I have been sent lab reports for CBD Essence and they have a great report. I will be updating this article with the lab report I was sent via email from one of the managers of CBD Essence. The use of CBD can be topical or ingested. For your type of pain I would recommend both. I am not a doctor, but have tried both methods, and I also have chronic back pain. Thank you for taking your time to create more awareness about the CBD oil, in my own opinion I think CBD oil is still under utilized in many part of the world, I learnt some few things from your post also, I never know that CBD helps in curing epilepsy .i will surely share this post with loved ones. No problem at all, if you go through and check out my site, you will see that there are so many uses for hemp it will amaze you. The health benefits that are being discovered are astounding, and then to find out that the hemp plant is one of the only plants with a complete source of essential amino acids, and is a complete source f protien, and that it is also very good for your skin. I could go on and on about the benefits of utilizing the hemp plant.